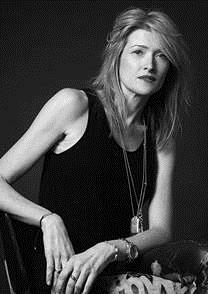 A new addition to the ASH team, Artistic Director for Ready-To-Wear Catherine Brickhill is an industry veteran with over 22 years of experience as both a fashion designer and creative consultant. Taking inspiration from a range of subjects including music, history and art, Catherine’s design values embrace instinct, curiosity and invention. Her breadth of experience working across various segments of the market has resulted in a unique style that merges British creativity, French savoir-faire and Italian flair. Born and raised in England, Catherine completed her Masters in Fashion at London’s famed Central Saint Martins in 1995. It was during her graduate show that she was spotted by legendary designer Alexander McQueen, who handpicked her as the first designer for his design studio. Over the next five years she shuttled between Paris and London, working alongside McQueen on his emotionally-charged collections, while earning the nickname, “the leather queen,” from the designer himself. After a permanent relocation to the style capital of Paris, she worked at French couture houses Givenchy and Montana, and ready-to-wear brand Plein Sud. In 2004, she took a big leap forward and launched her eponymous collection at Paris Fashion Week, to critical and commercial acclaim. The brand was stocked at prestigious retailers in Los Angeles, London, Paris and Tokyo. Two years later and eager to start a family, Catherine put her own brand on hold. She spent the next 10 years freelancing on various projects in the denim and contemporary spheres for high-profile brands including John Richmond, Barbara Bui and luxury Italian label Haute, where she served as co-creative director. Catherine’s debut collection for ASH will launch globally in Fall/Winter 2017.